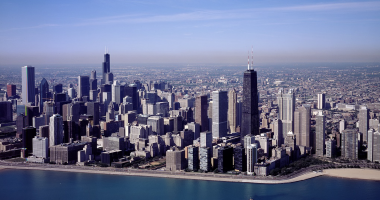 The ABOMA Form C Unfurnished Condominium Unit lease form is specifically designed for leasing unfurnished residential condominium units in Chicago, Illinois. Each carbonized lease set is made up of three copies of the lease – one for the lessor, one for the lessee and one for the Condominium Association. The most recent version of the lease is copy written July, 2017. When purchased through ABOMA the Lease is offered at a discounted prices to ABOMA members. This Lease form is the “standard” for many member buildings and is widely recognized as “THE” lease form for leasing unfurnished condominium units in Chicago. Leases are NOT available electronically or by fax. Leases are NOT available at the ABOMA Office. Leases ordered on line are shipped USPS First Class Mail or USPS Priority Mail and may take 5 business days or more to be received. Invoices are included with each order – ABOMA does not accept payment by credit card. The revised edition of this valuable management tool is now available from the ABOMA Office. Through the use of this form WHICH IS KEYED TO THE ABOMA LABOR AGREEMENTS a permanent record: of daily attendance with monthly/annual summaries; wage scales; eligibility for time off; supplies issued; and disciplinary action can be maintained for each building employee. The form has been designed for easy use. It is printed on both sides on card stock and is punched to fit a standard three ring binder. We are unable to fill orders with missing information. An invoice will be included with your order. Orders are generally shipped within five business days.